I really hope none of you gets his news from me, because I don’t hit on a lot of things. In case you haven’t heard, Mt. Gox–what was the world’s leading Bitcoin exchange–has folded, leaving millions of depositors unsure if they will see any of their Bitcoin again. Jesse Powell is an insider who wrote a heartfelt reaction to the development (watch out, some profanity). I will outsource explanation of the joke to the comments. Let me say that I personally had no idea what “Mt. Gox” stood for, until today. I am still agnostic on the future of Bitcoin, but now knowing what “Mt. Gox” stood for, it makes me sympathize more with the old guard who have been skeptical all along. NOTE: I am going to the Bitcoin conference in Texas next week. Part of the reason for that trip is so I can really immerse myself in the world of the Bitcoin experts, before taking a stab at guessing whether Bitcoin (and cryptocurrencies more generally) really are the wave of the future, as the proponents claim. They really do offer a beautiful vision, but something like Bitcoin only realizes its potential if lots of people embrace it for “non-ideological” reasons. A catastrophe like Mt. Gox certainly doesn’t help in that respect. I think (not sure) that Mt Gox was just a commercial bank with 100% currency reserves. Then somebody stole most of the reserves. Except the currency wasn’t bits of paper, but bits of electrons. Everything else about the story is just geeky-talk. “Then somebody stole most of the reserves.” Or that. You forgot “They made up a BS reason why the disappearing money was the fault of the currency [protocol] rather than their own system”, but … yeah. In a way, it’s a plus for Bitcoin. At least it had to be stolen pretty much the old-fashioned way. Does any fractional-reserve banking take place in bitcoin? I’m guessing there may be something about the way bitcoin works that would prevent this from happening. Technical I suppose you could issue bitcoin-backed media but it looks like they wouldn’t count as real bitcoins as far as bitcoin transactions are concerned so you might have problems using them. Is that correct ? You are correct. Bitcoin transactions can only be conducted with Bitcoins that were “mined”, not with any Bitcoin-denominated debt or derivatives. Those things do not exist on the Bitcoin network itself. I see a gap in the market for a free currency that allows FRB by design. I think this would lead to a more stable valuation and less speculation than you get with bitcoin. I’m sure the feds are all over getting Mt. Gox’s money back too. Some of these people are citizens, after all, even if they don’t trust USG regulations on banking. And since I’m not a conspiracy theorist it didn’t cross my mind that maybe the CIA/NSA/USG had something to do with it. It is one thing to assume that this seizure by the Feds (warranted or not) triggered or helped getting Mt Gox into doing ponzi stuff, or if this seizure was mainly done to discredit BTC through getting the biggest exchange to its knees through subtle methods..
Firstly, Bitcoin is designed for people who don’t trust any establishment. Thus, anyone who voluntarily left bitcoins sitting around at the Mt Gox exchange for longer than 15 minutes is a fool. Secondly, Bitcoin is only designed to solve the problem of transactions, it isn’t designed to solve the larger human problem of being able to work with other people and finding relationships where the other guy doesn’t shaft you. If I promise to mow your lawn after you transfer me a bitcoin, then I go back on my promise and run away with that bitcoin, there’s not a whole lot you can do about it. I might point out that Mastercard, Visa and Paypal (i.e. competitors to Bitcoin) all have systems for mediation with bad vendors and clawing back the transaction based on the judgement of a semi-neutral third party. There’s supposed to be a system of scripted contracts inside Bitcoin, but to the best of my knowledge, this doesn’t actually work. At least, I’ve never heard of it in operation. In principle it’s an exciting idea that could indeed involve neutral arbitrators to supervise transactions, but that’s speculation. Maybe someone else is going to show they are smarter than me (yeah it happens). I dunno… at the risk of playing right into Ken B’s hands here, I think a lot of libertarians and AnCaps are sometimes a little TOO trusting of any establishment that so much as even *pretends* to be sympathetic of them. Sometimes, I think we definitely run the risk of over-glamorizing the private sector, and assuming the government is the *only* entity that will rip you off. And I think that’s part of why this is so devastating, not just to the bitcoin community, but to the libertarian bitcoin community specifically. All the statist pundits who make a living telling you that you can’t possibly live without government now have a case study to point to. A bunch of dumb libertarians trusted some shady guy in Tokyo with all their money and ended up losing it all. And now they have no recourse. No cops to complain to. No FDIC to make them whole. Serves them right? I didn’t have any money in Mt. Gox, but I easily could have. It certainly wasn’t because I did a bunch of due diligence and figured out that they were suspicious and other exchanges were better. It was more along the lines of dumb luck. I think sometimes we get a little caught up in the fantasy of a total AnCap world, but we sometimes forget the infrastructure isn’t there yet. In a *real* AnCap society, there would be insurance companies and reputation services and other mechanisms to deal with stuff like this. But for now, those mediation services aren’t really around yet, because the state continues to monopolize them. So we’re left with this. The average libertarian bitcoin user now finds themselves in the position of a small-time drug dealer who just got beaten and robbed by a giant cartel. Pretty much nothing you can do about it. Experience is the harshest teacher: she gives the test before the lesson. But there IS something you can do about it, the whole idea is that you transfer your bitcoins into a personal encrypted wallet and then hide that wherever you like. Given that a micro-SD card is the size of your thumbnail, that opens up a lot of possible hiding places. Well you could have done that BEFORE the fall of Mt. Gox, but you can’t do it now. And the small-time drug dealer can hire goons of his own for protection too, but if he doesn’t think to do that ahead of time, all the hindsight in the world won’t help him. I’m not anti-BTC or pro-FDIC or anything like that. But I think we do have to concede that there are trade-offs in play here. If you do everything you can to avoid government regulation, you also exempt yourself from government protection when things go wrong. Sure there are trade offs. The trade off is not that you sit and trust an exchange to hold your money for you… the trade off is that transactions cannot be reversed by a central authority. You don’t have government protection in any case. My government is not about to invade China if I purchase something on eBay and the package never turns up. The protection I get is that the credit card company can issue a chargeback. My point is that people who left millions sitting around at Mt Gox had every opportunity to know better than to do that. It would be like buying gold coins on VISA card and then asking the vendor not to deliver them. It is good for your abs, can’t you tell? People have been trying to do these e-currencies for at least 20 years. C2.Net had “ecash” that was supposed to be anonymous but as soon as you crossed the guy running c2.net all your personal info was posted to the net. The guy running c2net became a neocon during the iraq war and went onto work for Goldman. He was on the cover of Forbes in the mid-90s as a anti-govt type. The Fed has been at it for 100 years and they still help cause depressions, the most recent costing $13 Trillion. That is with the full faith and credit of the government. Seems we need that like a hole in the head. It’s hard to imagine anything being much worse. So, let’s try anything. Some won’t work out. Some will. So far Mt. Gox was just a bank that was not under the government’s protection racket, so when their bank was stolen they went under. At least cash is anonymous. Bitcoin is only as anonymous as the people you trade with. True, but that implies Mt. Gox was doing the wrong thing. It was supposed to be an exchange which is a broker between parties, a completely different thing to a bank. My use of Bank was analogous. You are correct that it is not a technical description of what they do. If Mt Gox had purely been a broker, the damage caused by them ceasing trading would be minimal. They were indeed acting like a bank, and that’s where the trouble started. Right. They were in effect acting EXACTLY like a due facto fractional reserve bank minus the government bailouts. So government keeps companies from failing and/or committing fraud? Seriously? You are such a lightweight. This is the free market at work. And don’t act like (some) Austrians weren’t warning against investing in bitcoin. On of the issues with ‘currency’ is that it is a commodity. This is true of the US Dollar as it is of the Bit Coin. Now the US Dollar has ‘the full faith of the US Government’ behind it. But both are ‘fiat’ currencies. What happens with monies like this? Well how many wooden nickels is a continental dollar worth? Can anyone say Toilet Paper? Heck even full fledged national currencies have been flushed down the toilet because of bad management. I think people are missing the larger picture on this. One of the most important reasons why market oriented monies are so desirable for the individual, is that if other individuals make errors in judgments, the costs are not imposed on others through force, the way fiat central banking does it and their negative externalities. When a bank folds, the temptation is to bail it out by inflation, which of course devalues the dollars everyone else holds, and there is no serious way for them to avoid it. I myself don’t own any Bitcoins, and the costs of the collapse of Mt Gox will NOT be imposed on me through some coercive mechanism that devalues what I own. Competing currencies are going to be targeted for raids, theft, hacks, those in government and those not in government. But precisely because of this lesson of life, humans will adapt, and the people who are most incentived to adapt are those dwaling in the currency and had to incur the full costs of their mistakes. Indeed. This is a major (no pun intended) point that seems to be going unmade. 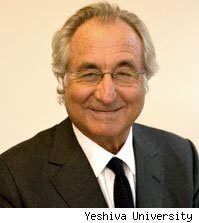 When a normal bank fails, the depositors are made whole by the FDIC… which is funded by the tax dollars of all Americans, including those who had the foresight to leave their money in more stable banks, and including those who hid their money in their mattress and don’t use any bank at all. But because it came from tax dollars (the ultimate “unseen”), we act as if there is no loss. In the case of Mt. Gox, nobody is made whole. The difference is funded entirely by those who made the poor (in hindsight) decision to leave their money in Mt. Gox. Those who took the time to invest in better BTC exchanges, or those who felt the entire venture was too risky and never bought BTC at all are completely unaffected by this. So the smug BTC haters who are bragging about this event as “proof Bitcoin won’t work” I suppose would be happier if they personally had to pay to reimburse Mt. Gox depositors, right? Just a nitpick: the problem is not so much that some people pay despite not being a responsible for a cost, as that happens all the time in plail-ol’, normal, Rothbard-blooded insurance pooling. The problem is that you can’t “opt out” by reducing your risk and moving to a better pool that’s insulated from the riskier one. While that is a fair point Matt, this can hardly be spun to be a victory for the unhampered free market either. People who currently have their funds in FDIC-accounts are not likely to read this story and become free money and banking supporters are they ? (I’m a free banking advocate by the way). We can’t save the world. Yes, people will always love govenent subsidy. It doesn’t make them right. Again the fed has had a hundred years to get their act together and they just cost us $13 trillion. Maybe we can give bit coin a full half decade to work out the big bugs. A big problem with so many fiat currencies is that bad decision-making just gets papered over, or even rewarded through bailouts. And people are forced to couple themselves to the risk by the need to protect from inflation. The fact that this happened without having to involve bystanders is good. With that said, I’m not going to do the anti-Bayesian two-step and claim that the MtGox is a vindication of everything I thought before. I’m honestly surprised that after all the warnings, new money kept flowing in. But I can at least take solace in how that behavior doesn’t keep getting bailed out. I’ve been one of those who were “skeptical all along”, but I have to say this thing is actually making me a bit more sympathetic to Bitcoin fans, just because of the weird taunting glee so many people are displaying towards those who’ve lost their savings. Yep. If people lost savings by investing in a crappy traditional bank, these same folks would be lining up demanding a federal bailout and insisting that the poor, innocent customers did absolutely nothing wrong. Btw Matt, you see the Woods essay I posted over on potpourri? You know that saying “One murder and you’re a murderer, a million murders and you’re government”? Government bail outs can be seen as unjust by noticing that Mt Gox isn’t getting bailed out, but only because it’s a single exchange. Where is LK and his calls for bailing out the Mt Gox depositors? Oh that’s right, this business is in competition with the state’s decreasing hegemony over money, so LET THEM BURN. I thought your post made a lot of sense. Bailouts are the real problem. Losses, runs, collapses need to happen. You want safe money, purchase some property. And banks still even fail despite the huge costs and regulation. Well I think it is because of these things. We are talking huge banks who just shuffle money and didn’t get their whole reserve stolen who still fail making tbtf even worse despite governtment protection. Its pretty amazing. Mt gox failed (apparently) for entirely unremarkable reasons. If bit coin was a problem then fix it. None of this makes any sense to me. If a bit coin is actually a “key” then all the keys have to exist, therefore meaning they may have some value now, even more later. also how does any bit-coin become stolen, if it is a key? Finally, how did Mt. Gox go bankrupt if they have 100% reserves, this is assuming they went bankrupt? As far as I can tell, they simply halted trading. This entire thing is stupid and I hope that the real story comes to light, soon.